The last CoD to offer dedicated servers was Infinity Ward’s Call of Duty: Modern Warfare 3 in 2011 and it was a hidden option that very few folks knew about and even fewer took advantage of. As far as I’m aware, no CoD game on the PC has ever offered map or mod making tools. These servers will be Unranked meaning the ranking-up system won’t be in effect and all weapons/perks/scorestreaks will be unlocked for everyone so if you want that experience you’ll still need to play on Treyarch’s servers, but that’s perfect for LAN parties. This is a huge announcement and something fans on the PC have been asking for for years. As a fan who plays Call of Duty on the PC it’s been disheartening to see the console versions getting the majority of attention from Infinity Ward and Sledgehammer games over the years while the PC versions of their games suffered. I’ve complained for years about a bug that’s existed in the PC versions of Call of Duty that causes killstreaks/scorestreaks to sometimes not deploy properly. It started in MW2 and has been present in every IW release as well as Sledgehammer Game’s Advanced Warfare released last year. Only the Treyarch CoD titles are free of this bug on the PC. I was looking forward to BO3 already. This makes it even more appealing. 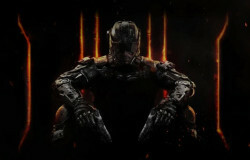 This entry was posted in Video Games and tagged Call of Duty: Black Ops III, Treyarch, Video Games by Les. Bookmark the permalink.